Not that long ago, cemeteries were built in the centers of towns and cities. They were visited often by devoted relatives, and weekend picnickers. They were cared for by groundskeepers and relatives alike, and were valued for their park-like settings and interesting monuments. Today, the relevance of cemeteries to the lives of many Americans has decreased markedly. To many, they are seen as a waste of space, or worse, as a depressing reminder of our mortality. Much of this is due to the denial of death that has taken over our culture. We pretend that death won’t happen, and when it does, we avoid viewing our loved ones and avoid dealing with the difficult reality of the situation by concentrating on celebrations of life and the happy times. For cemeteries, this is only half of the problem. In many cases, only token measures have been taken to address changing tastes and values. Cemeteries are seen by new generations as gloomy, depressing places that don’t reflect the spirit or values of their loved ones. People today want a setting that reminds them of life and happiness, and that reflects their culture and values, not row upon row of uniform markers or the gothic tragedies of elaborate monuments. To see how uncomfortable even the people who bury in cemeteries are with the prevailing mood of the places, just look at the increasing harvest of plastic doo-dads and gew-gaws that cemeteries must harvest from their tidy rows every spring, or the bold modern monuments that look like a granite T-shirt, and feature everything from engraved portraits to farm scenes, to race cars. Look at the memorials people make on the highway for those who die in car accidents. They are full of teddy bears and flags and sparkly pin-wheels. Many skip the cemetery altogether and scatter ashes in mountain lakes or other vacation spots. 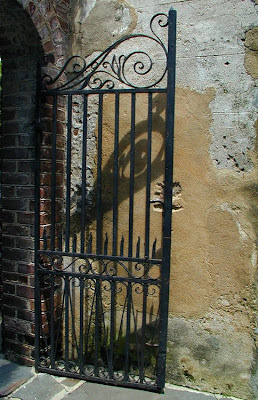 They have often been told by their loved ones to keep them away from the gloomy cemetery. They want to rest in a place that they would feel comfortable and full of life. The families who scatter miss out on having a permanent spot to visit, however. Sometimes the mountain path becomes a strip mall, or the spot on the river cannot be found again after old trees fall and new ones grow. 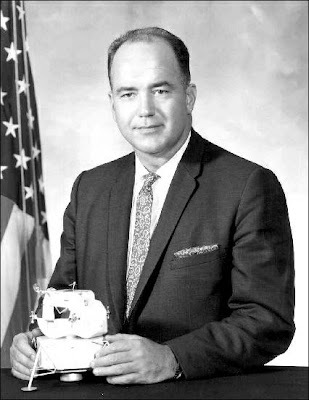 As a person who values cemeteries and recognizes the need for permanent memorialization, I’m pleased to say that there are some innovators out there who are making cemeteries relevant to the needs and values of today’s consumers. In this first installment on Cemetery Innovators, the new Chinese section at Sunset Cemetery in Minneapolis is highlighted. The cemetery has used the ancient principles of Feng Shui to make a new section appealing to the area's growing Asian demographic. 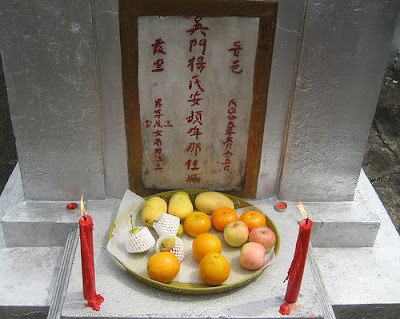 Chinese cemeteries are certainly nothing new, but they are new to the Twin Cities area of Minnesota. The driving concepts behind the creation of this section apply to any cemetery innovation; one size no longer fits all, find a growing segment of your population, and create an area that appeals to their values. 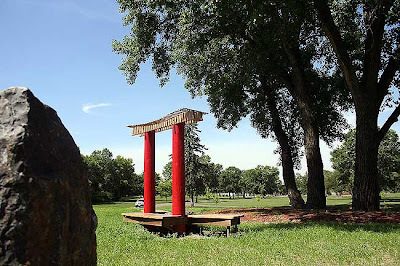 Named the Garden of Eternal Peace, the new section at Sunset Cemetery was the brainchild of Funeral Director, Scot Werkmeister, and designed with the help of Feng Shui expert, Andrew Hong. Following is an excerpt from today’s Minnesota Public Radio story about the Garden of Eternal Peace by Laura Yuen. The Garden of Eternal Peace is in some ways unremarkable. 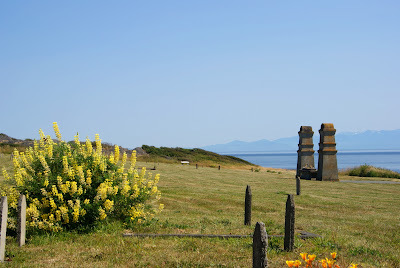 Not even an acre large, the site's entrance is marked by a simple gate made of two wooden pillars and a modest roof. But this land is slightly higher than the rest of the cemetery, making it an ideal burial spot for followers of feng shui. Consultant Andrew Hong says the space offers a commanding location for both the living and the dead. "You're on higher ground. So imagine the people buried -- they will feel very secure and safe." Safe, Hong says with a smile, from evil spirits. He's placed every object carefully, from the entry gate to a foot bridge, which he says gives negative energy a way out of the burial site. Sunset Cemetery officials say the garden is the first in the Twin Cities to be designed according to these ancient principles. But Asian families in Minnesota already practice feng shui when scouting for areas across the state for the perfect burial spot. Many Hmong and Vietnamese families have been known to favor a certain Maplewood cemetery because it's surrounded by hills -- the better to protect the deceased. It may sound strange to segregate the dead by building ethnic "neighborhoods" right into cemeteries, but people in the industry say it's no different than creating special sections for Masons or war veterans. "It's easy for the dead," Hong said. "They can communicate with each other. They don't have to travel. Sometimes it's all in our manmade imagination. But you cannot fight tradition. If tradition believes in that, we better believe in it, too." Inside the cemetery offices, Scot Werkmeister, a funeral director who oversees Sunset Cemetery and several others owned by Dignity Memorial, flips through a catalog of custom granite markers that Sunset has begun to offer. They're meant to appeal to Asian consumers. Some of the headstones come in the shape of little pagodas. Most are upright, and come with a mantle that where offerings of incense or bowls of food can rest. Werkmeister says he wanted to build the garden at Sunset after a trip to California, where cemeteries have developed special areas where Asian families could show their heritage and traditions. 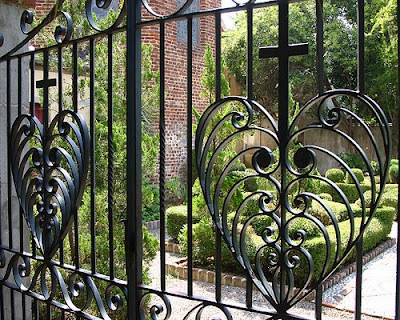 Renown blacksmith, Philip Simmons, whose iron work graces windows, gardens and gates througout the city of Charleston, South Carolina, passed away on Monday. 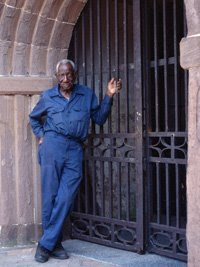 The city will place white ribbons on all the Simmons ironwork in Charleston parks, and encourages citizens to place white ribbons on all the iron work in the city in memory of Mr. Simmons. This blog has seen a lot of discussion concerning appropriate clothing lately. In the Weeds looked at the tradition of mourning clothing, and explored some modern day expressions of it. In The Shrouded Way, the dehumanizing effect requiring shrouds for cremation was discussed. 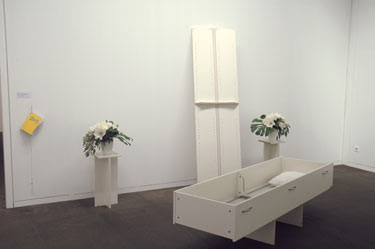 The ways in which clothing can be an expression of the deceased was the subject of Don't Bury Me in a Suit. However, I think that this post, borrowed from Charles Cowling's Good Funeral Guide puts it all in the right perspective. The purpose of funeral regulations and etiquette should be to show respect for the dead and provide comfort for the grieving. Rules should serve us, and not the other way around. Here, with pleasure is Stanley Holloway's 'Brahn Boots', along with printed lyrics for those of us who have difficulty understanding English. Thanks for this gem, Charles! Had to have two p'licemen there! And wot a corfin!... oak and brass! But Jim, our cousin... what d'yer fink 'e wore? I ask yer... brahn boots! Wore decent black and mourning suits. She did like people who was good and kind. "What, 'im chief mourner? Wot a blooming lark! He'd give 'is other boots away. Wore decent black and mourning suits! A meaningful funeral is a combination of ritual and personalization. When the loss of a loved one turns our world and lives upside down, going through the familiar rituals of our culture and faith is reassuring to us. Participating in funeral rituals helps to reinforce the reality of the death, and reminds us that we are a part of a community that shares our grief. Personalization involves a recognition of who our loved one was, the impact their life has had on ours, and a celebration of the unique gifts that this personality has brought to our lives. 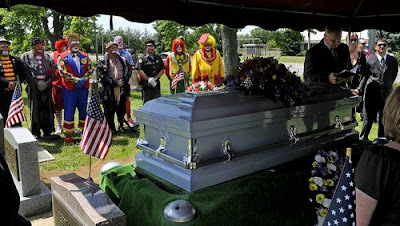 On Friday, May 29, 2009, at the funeral services for Norman ‘Boppo’ Thompson, fellow clowns from the Antioch Funster Clown unit honored his memory and service. 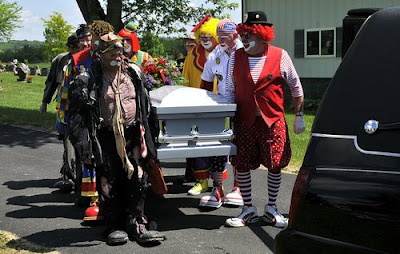 The comforting and reinforcing rituals of passing by the casket to offer respects, and carrying one of own to their place of rest, were made even more meaningful with the personalization and participation of his fellow clowns. Looking at the pictures, we can tell right away that this was a special and meaningful part of Mr. Thompson’s service. 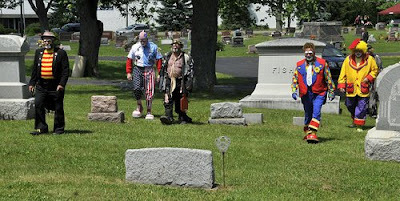 The participation of his fellow clowns reminded all present of Mr. Thompson’s spirit and of the impact he had on others. 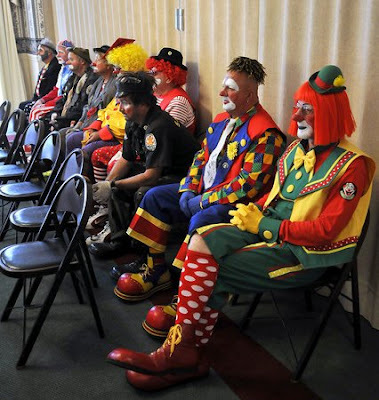 The Telegraph published a story yesterday describing council regulations in West Yorkshire, UK, forbidding the combustion of regular street clothing during the cremation process. Apparently, the deceased are now required to be clothed in council approved shrouds. 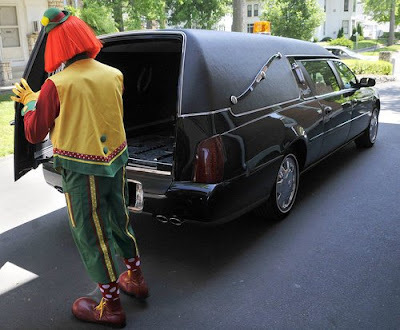 According to the story, reported by Matthew Moore, even colored cotton clothing and soft toys in children's caskets are said to be prohibited in the interests of cleaner emissions. These regulations are more than heavy handed; they are incredibly out of touch and dehumanising. Certainly cleaner emissions are a laudable goal, and people everywhere can benefit from knowing how to improve them, but a person's clothing and the items that travel with them to the retort are very meaningful and should not be tampered with. The clothing of the living is an integral part of a person's identity, and removing that layer is dehumanising. For this reason, military recruits are given identical uniforms and haircuts. Their identities must be broken down before they are rebuilt in a new way. 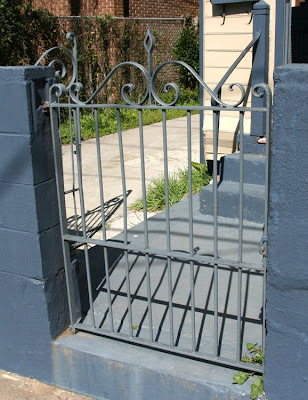 This stripping of identity is also a common practice in prisons. The clothing of the dead is often carefully chosen, sometimes even years in advance. 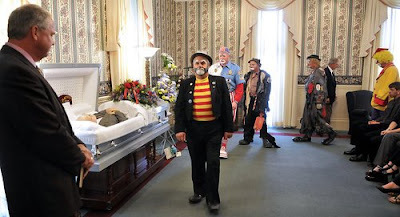 Whether the dead are dressed in overalls, a track suit, a special suit or dress, or even a special T-shirt, that clothing is an expression of who that person was. When the survivors are missing that person, the clothing is an important reminder of the personality they are trying to remember. A few years ago, the directors at our funeral home worked with the family of a teenage girl who died tragically. Her clothing was very important to her and who she was, and at the request of the family, this young lady wore casual youthful clothing during the evening visitation, and then was changed into more formal clothing for the funeral service the following day. I can't imagine the reaction of family and friends if this girl had been required to wear a utilitarian shroud. In my experience, every family who loses a child places a special toy, often a stuffed animal made with artificial fibers, into the casket with their baby. 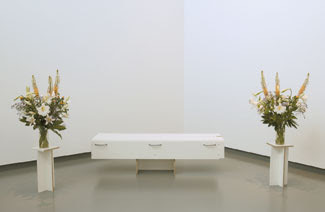 Their emotions are complicated and volatile, and one very positive way for them to express their love is by placing these meaningful objects in the casket. The grief experienced by these parents is palpable and overwhelming. If the council prohibits these items, they should be required to tell the parents themselves, face to face, that this baby can't have a comforting toy for the sake of a few fumes. There are many ways to reduce green house gases and toxins that should be explored before stripping the dead of their indentities and individuality. There are many steps that would have a greater impact on our environment than eliminating stuffed animals and other meaningful gifts from the caskets of children. It is my hope that this council slips out of their own shroud and repeals their ridiculous regulations. Grieving relatives have been left distraught after a council banned them from dressing loved ones in their favourite outfits in a crackdown on pollution. It means an end to people being cremated wearing their football shirts, or parents placing soft toys in children's coffins. Kirklees Council in West Yorkshire is the only authority in the country to adopt the approach, according to a national cremation body. One man, who did not want to be named, was shocked to find his relative could not wear the 100 per cent cotton outfit she had chosen before she died. He said: 'We knew it had to be natural fibres so she chose a top and slip that was 100 per cent cotton. 'But when the funeral director came we were told she would have to wear a special shroud. He pulled out a swatch of different colours to choose from. 'We didn't know what it looked like and when we went to see her in the chapel of rest, we couldn't believe it. 'It was all fluffy and frilly. The deceased would not have wanted to have been seen dead in it - unfortunately she was.' The council set out the guidelines on cremation in a letter to funeral directors. 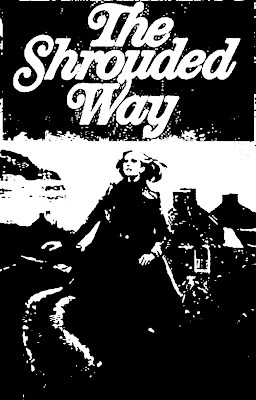 The document refers to rules in a charter by the Institute of Cemeteries and Crematoria Management (ICCM) which states: 'Clothing the deceased in clothes made of natural fibres/materials is acceptable whereas plastic, nylon and other synthetic materials are not acceptable due to the impact on the environment via emissions.' But Kirklees Council goes on to argue that even natural fibre clothing could contain man-made dyes or fibres that will impact on emissions. I welcome my UK readers to post any updates on this matter in the comments section.